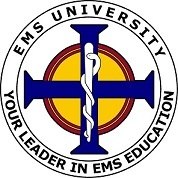 We guarantee the lowest price in the Phoenix Metropolitan Area for an EMT Refresher Course. In the event that you find a lower price, we will provide an additional 10% off the competitor's price. This way you receive the lowest possible price for your recertification. In order to receive the discount, simply email the information to info@arizonaemtrefresher.com and we will provide the discount upon registration. To qualify, the course must be offered in the Phoenix Metropolitan Area and may not be a course offered by or through your employer or due to a group discount. Additionally, the course must also be authorized by the Arizona Department of Health Services, Bureau of EMS. In addition to offering the lowest price, we also offer a fun, fast paced environment which will hold your attention. Our instructors have an average of 10+ years in the field and many years of combined instruction of public safety programs.